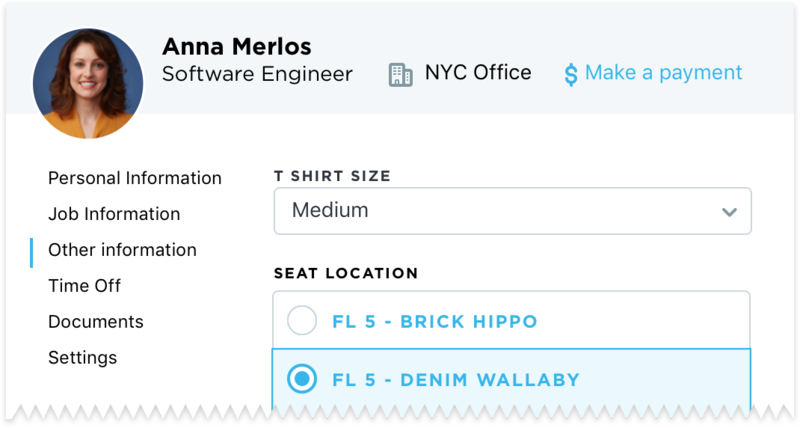 Manage your team from one place with the HRIS tools we’ve built from the ground up. Consolidate your team management software with Justworks. We’ve built the HRIS tools and integrations that keep your team running smoothly and on the same page. Added bonus: The Justworks team is here 24/7 with full-service support along the way. Track a range of key business metrics with Reporting by Justworks. Our range of pre-built reports combine only the most relevant data points and present them in a comprehensible and usable way so you make sense of your data faster. Customize the reports in real-time and instantaneously view the results right from within Justworks, no download necessary! Managing paid time off, made simple. Set up your vacation and sick leave policies in Justworks. Track accruals, approve time off requests, set your holiday calendar, and sync your Justworks PTO calendar with your own. Employees can even manage their time off and view their team’s PTO within Justworks. 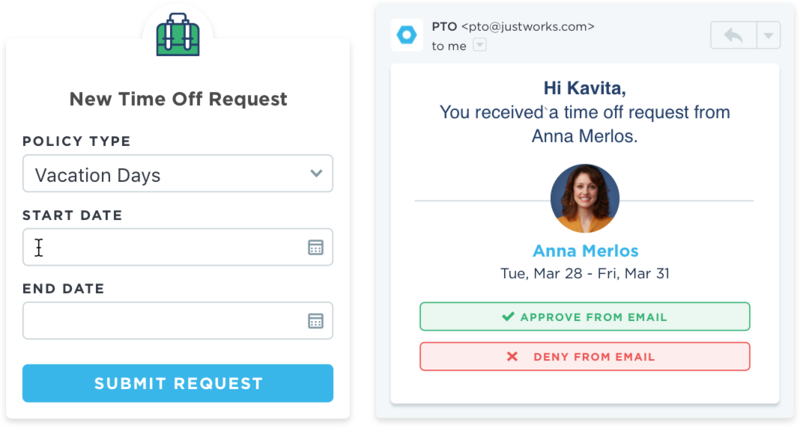 Onboarding your employees to Justworks is simple and automated. They’ll do everything online, from entering direct deposit details to picking health insurance plans! Securely connect employees with their individual information. In Justworks, your employees will find their W-2s and you can upload performance reviews, stock option grants, and more. Document and access the employee info you need to manage your team: you can create custom entry fields and easily review employee histories. Rest easy by giving the right members of your team access to various functions within Justworks. Your accountant can make expense reimbursements, your head of HR can approve PTO requests, your COO can elect benefits. 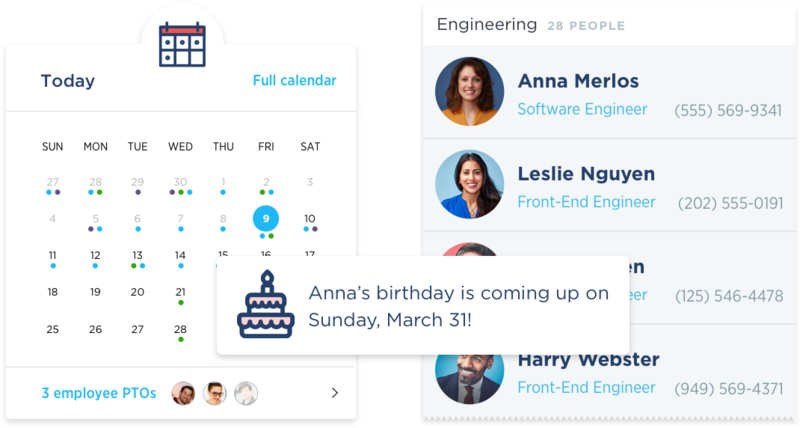 Keep your team on the same page with a company directory, place to store company policies, and a calendar with birthdays, anniversaries, pay dates, and more. Lead your team forward with 24/7 support from Justworks. We provide you with the HR tools and support you need to create a great place to work. We’ve built tools from the ground up to make your day-to-day — and your employees’ — simpler and more streamlined. 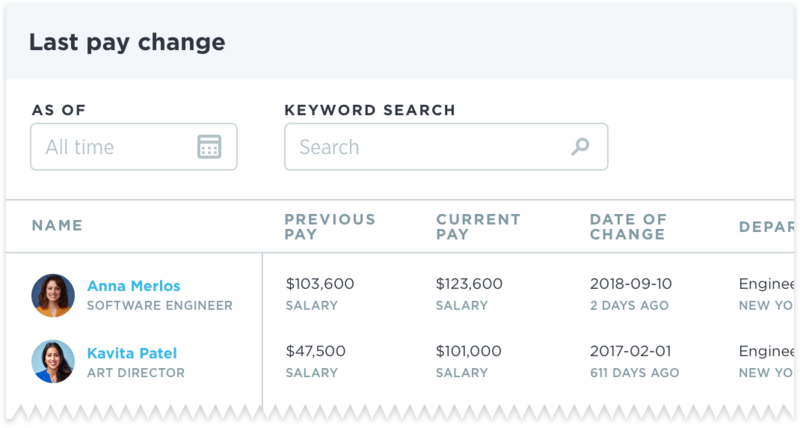 See how our Payroll Tools help you pay your people, whatever shape and size your team takes.